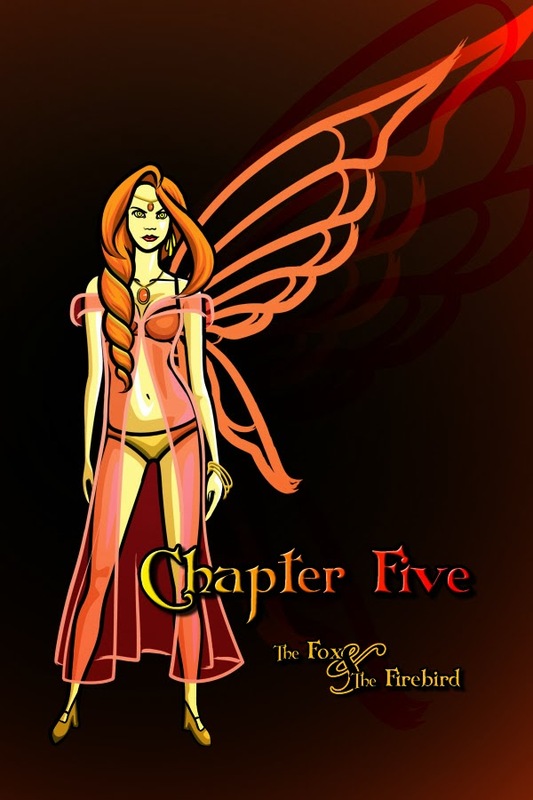 Cover for Chapter Five, featuring a new character. Speaking of the fairy, I kind of wonder what she'll charge for her services as a wedding officiant and cursebreaker. Bellissima: "...so we'd like you have you marry us within the next few days." Desert Fairy: "Of course! Anything for my beautiful goddaughter. Though there is the little matter of compensation... fairy rules, you understand." Bellissima: "Of course, I remember. In return for your favor, I would like to offer you this Mysteriously Magical, Talking Fox." Desert Fairy: "You found an MMTF? I've been looking for one for ages!"